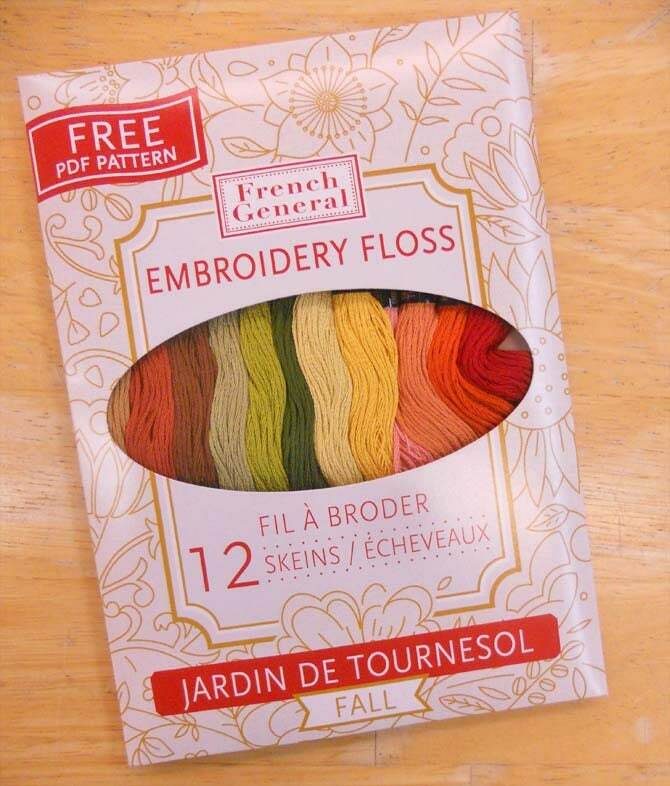 French General Embroidery Floss designer pack, 12 skeins, Cosmo threads, Lecien. French General has teamed up with Lecien and Cosmo threads to bring you designer thread packs. 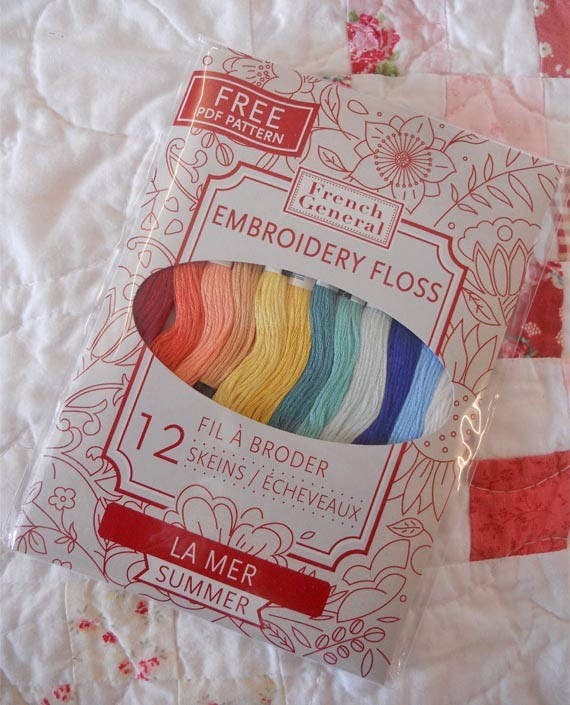 "French General's embroidery floss collections are inspired by the South of France and the rural lifestyle that allows one to slow down and put needle to cloth. Whether you are a beginner or an experienced stitcher, our creative color palettes will inspire you to make beautiful designs." 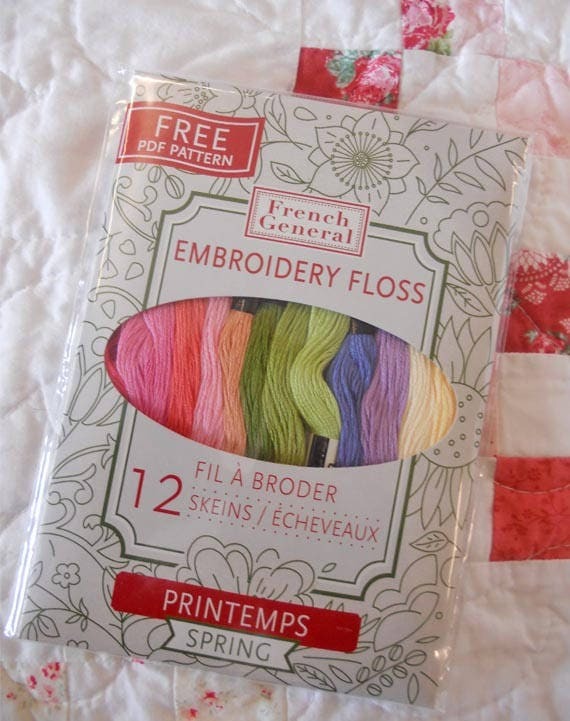 French General has put together 4 different thread packs (winter has sold out)...each inspired by the seasons of France. Each Thread pack is a grouping of 12 skeins of 12 colors...each skein is 100% superior quality long staple cotton 8m/8.75 yards. Size: 25/6 stranded floss, easy to separate. These thread packs have been discontinued.